The Present Continuous Tense (also called the Present Progressive Tense) is usually one of the first verb tenses ESL students are taught. However, prior to a grammar lesson about the Present Continuous, the irregular verb “to be” must be taught. The verb “to be” is a helping verb (or auxiliary verb) used to form the Present Continuous. The Present Progressive is formed by combining the helping verb “to be” with the “-ing” (or Present Participle) form of the main verb. For example, “She is dancing.” The Present Participle of the main verb will always be the same, no matter whom or what the subject is. 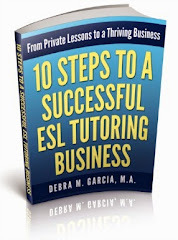 The helping verb will be conjugated depending on whom or what the subject is. 1. I am talking. I am walking. I am dancing. I am thinking. 2. You are talking. You are walking. You are dancing. You are thinking. 3. She/He/It is talking. She/He/It is walking. She/He/It is dancing. She/He/It is thinking. 4. They are talking. They are walking. They are dancing. They are thinking. 5. We are talking. We are walking. We are dancing. We are thinking. The challenging things about the Present Continuous verb tense for students of English as a Second Language are using the right auxiliary verb (“to do” is often confused in place of “to be”) and knowing when to use the Present Simple or the Present Continuous. Great help! 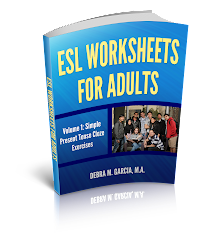 I am new to teaching adults ESL and your succint outline of what they need to know within the tense really helped me sculpt my lesson plan. Thank you! Cultural Differences: It's the Cops! "What's a good way to learn English?"